Health is a relationship between you and your Body. Let us be your first step to a healthier, happier you. Dr. Esti Bakty’s practices Natuorpathic Medicine for the whole family at the Naturopathic Essentials Clinic located conveniently off the 101, in Scottsdale Arizona. Dr. Bakty is a general practice physician whospecializes in Pain Management, Prolotherapy, PRP, Integrative Oncology, Hcg Weight loss, Anti-Aging, Hair loss & more. Please call 480-747-5559 to make an appointment or email directly. Brenda is passionate about pregnancy, breastfeeding, and pediatrics. She believes in empowering and supporting women to have the best possible birth experience. While her family practice focuses on perinatal health and sports medicine, she sees a wide variety of patients of all ages and health complaints. Brenda graduated with distinction from Trent University where she received an Honours Bachelor of Science degree in biology. She went on to complete her Doctor of Naturopathic Medicine degree at the Canadian College of Naturopathic Medicine. During her time at CCNM she traveled abroad volunteering for Natural Doctors International at a medical clinic in Nicaragua. Brenda has also trained as a doula, reiki practitioner and IV therapist. Diana has a general family practice in her hometown, Guelph. She also has a special interest in stress management, digestive concerns, mental-emotional health and women & children’s health. I have been practicing as a naturopathic physician since 1993. For 10 years prior to entry into naturopathic medicine, I worked at McMaster University teaching hospital in Hamilton Ontario. There, I worked as a registered nurse for 10 years in critical care areas including emergency, ICU, paediatric ICU, neonatal ICU and coronary care. I also taught neurological critical care nursing to registered nurses at Conestoga College, Ontario. I have seen phenomenal successes as well as challenging limitations in the different types of medical approaches; both in conventional medicine and in naturopathic medicine. I believe that the best treatments are those that promote the greatest quality of life with longevity, and those that cause no harm to the patient; no matter what treatment that might be. My more than 32 years of medical experience has allowed me to see the value of integration between both naturopathic and conventional medicine in giving patients the best possible care. Dr. Julie Chan, B.Sc., N.D., L.Ac is an extremely passionate primary care practitioner who treats her patients from a holistic approach utilizing current medical knowledge and scientific research with traditional healing methods. Dr. Chan is fluent in English, Cantonese and Mandarin, and she has been highly involved in the community with promoting health optimization and preventative medicine. She has been featured as a guest speaker on the Toronto Chinese Radio, WOWTV, and Pulse24. 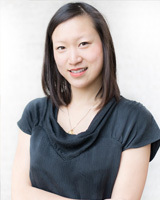 Dr. Chan is licensed and Board Certified Naturopathic Doctor, she completed her 4-year post-graduate program at the Canadian College of Naturopathic Medicine. Dr. Chan is also a member of the Canadian Association of Naturopathic Doctors, and Chinese Association of Naturopathic Doctors. 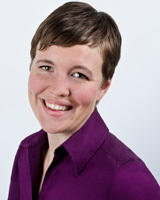 She is also certified in Intravenous and Parenteral Therapy, Licensed in Acupuncture, and a Certified NES Practitioner. Dr. Tricia Pingel, NMD provides comprehensive medical care based on the foundation of the naturopathic principles. She embraces patient education, and is committed to assisting her patients achieve their optimum health using natural modalities and, when appropriate, conventional therapies in order to provide the most individualized care to her patients. With a strong focus in family medicine, she treats all members of the family, meeting each and everyone at their own level to better assist them in reaching their health goals. She believes in a multi-dimensional and integrative approach to healthcare and will work closely with other healthcare professionals to assure that her patients needs are met. Whether you are in need of well visits or are combating a chronic disease, Dr. Pingel can be a part of your journey to wellness. Just don’t quite feel yourself? Just because your hormone levels are deemed normal, this does not mean that they are in optimal balance. Dr. Pingel takes an in-depth look at your hormonal status and treats the imbalance with natural alternatives. By regulating hormone imbalances, one can prevent unnecessary hysterectomies, endometrial ablations, chronic birth control pill use, miscarriages, hormone related depression/anxiety, ovarian/cervical/uterine fibroids/cysts and cancers. Seasonal allergies are a common concern for most patients. By approaching the symptoms with a body wide approach to pinpoint the cause of inflammation, seasonal allergies symptoms can be reduced. Dr. Pingel also offer food allergy testing, which is a root cause of many symptoms. Naturopathic medicine helps to restore a healthful balance to individuals, whether problems are acute or chronic. Supporting the basics is essential: diet, sleep, exercise and psychospiritual health. Naturopathic treatments should be directed at the cause, to stimulate healing and avoiding suppression. In these modern times people must also commit to making their personal world less toxic. My practice is open to all family members, all ages. I have special interests in digestive problems, allergies (foods & environment), and neurodevelopmental problems (Autism, ADHD, Tics and Seizures). 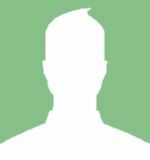 #208 – 1676 Martin Dr.
As a naturopathic family doctor, I aspire to provide the ideal of a country doctor’s patient centered care, while integrating the best of modern conventional medicine with the time proven practices and approach of traditional world medicine. Dr. Lindsay Jones-Born is a licensed naturopathic doctor in California and is an active member of the American Association of Naturopathic Physicians. Born Naturopathic Associates, Inc. is the prime location in Alameda, CA for integrative medical care for patients off all ages and genders, for acute and chronic conditions. For more information or to schedule an appointment, please visit or call 510-550-4023. Rebecca Kellerstein, B.Sc., N.D. is an established Naturopathic Doctor who has a thriving clinical practice in Thornhill, ON. There she sees people, from infants to the elderly, and everyone in between, and treats a variety of health concerns, ranging from frequent colds, to digestive difficulties, allergies, weight management, endocrine disorders, menstrual problems, infertility disorders, ADHD, cardiovascular disease, multiple sclerosis, and cancer. 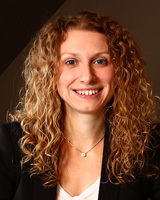 Dr. Kellerstein is a graduate from the University of Toronto, where she earned The Dr. James A. and Connie P. Dickson Award for academic excellence, as well as a four-time Dean’s List award earner. She graduated with High Distinction, earning an Honours Bachelors Degree in Microbiology and a minor in Immunology. She then graduated at the top of her class from The Canadian College of Naturopathic Medicine in 2000, earning several awards, including The Governor’s Medal of Excellency Award for academic and clinical excellence, The Saveira Zambri Award, and Dr. J. Farquarhson Award for excellence in Homeopathic Medicine. Afterward, she completed three extra post graduate years of training to become specialized in Homeopathic Medicine. Aside from her practice, Dr. Kellerstein has been heavily involved in teaching at various colleges. Since 2009, Dr. Kellerstein has been the professor of the third year physical and clinical examinations course at The Canadian College of Homeopathic Medicine. Since 2000, she has also been a clinical instructor of several courses at CCNM, including Traditional Chinese Medicine and Fundamentals of Naturopathic Medicine, and currently is a clinical instructor for the third year Orthopedics course, as well as the second and third year Spinal Adjustment programme at CCNM. She also devotes a portion of her time toward corporate wellness, giving seminars to the staff of large companies on the various ways they can optimize their health.